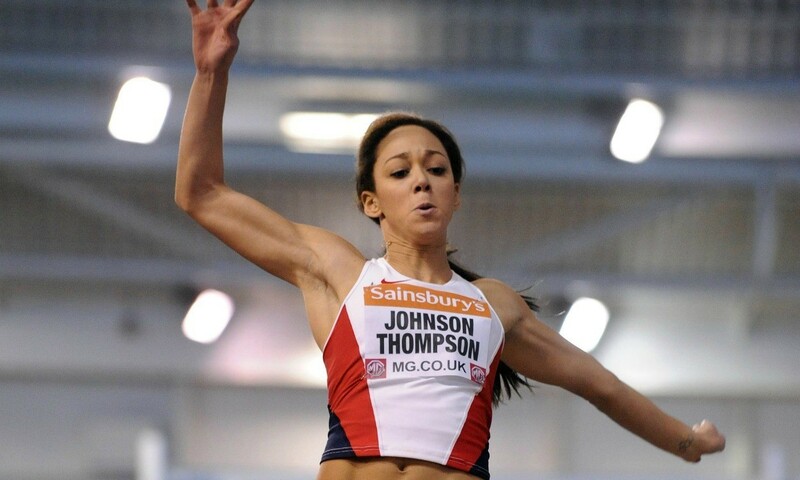 Katarina Johnson-Thompson smashed her long jump personal best by 11cm to finish second with a best leap of 6.92m at the Sainsbury’s Glasgow Grand Prix. She finished behind Tianna Bartoletta with 6.98m, and the heptathlete’s jump couldn’t have been much better timed considering she will be back at Hampden Park in a little over a fortnight’s time when she makes her Commonwealth Games debut. And the Liverpool Harrier says she can’t wait to return. “I’m very happy with that. Coming into the competition I felt like I was in a bit of shape after the trials in Birmingham,” said Johnson-Thompson, who will contest the heptathlon at the Games. “I thought I had a big jump in me coming into the stadium and I’ve done well, got a PB by 11cm, so I’m very happy. “It helps me a lot [to come here before the Commonwealth Games start]. Before the Olympics, before the track was even laid, I went to stadium trying to visualise it, so coming here and seeing the stadium, the track, the call-up area and getting your bearings will be vital. “I really like it here. They’ve done really well, I’ve never been here before, it’s only my second time in Glasgow, I’m happy with the way they’ve done the track and also the crowd.